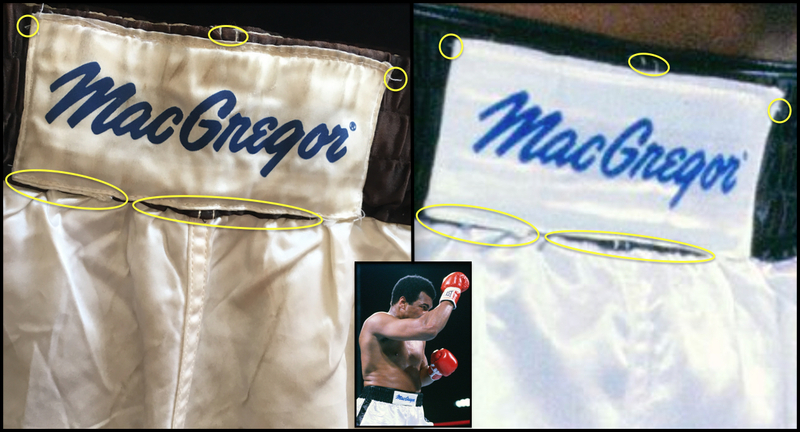 These are the first conclusively photo matched Muhammad Ali trunks to ever be auctioned. 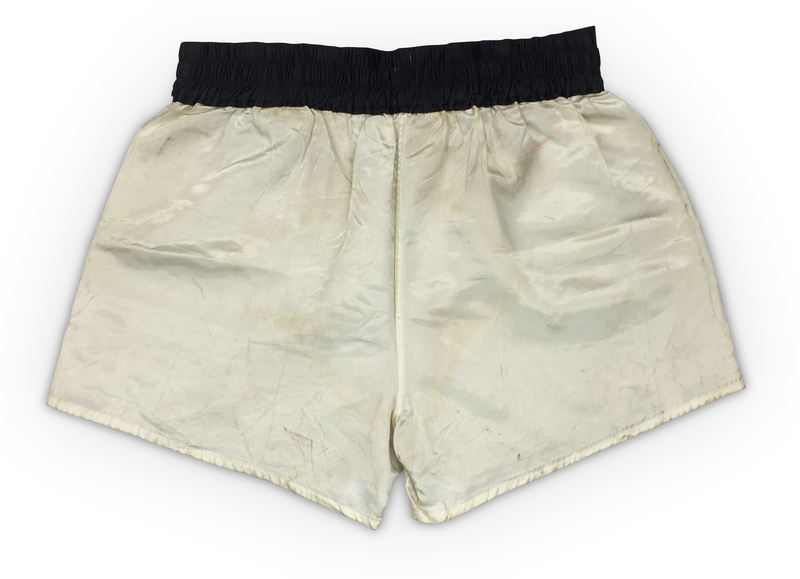 These trunks are extremely rare and unique as they were used in the fight versus Holmes and they were also used during training for the last fight of his career versus Trevor Berbick which took place 13 months later. The consignor brought this to our attention and the trunks have progressive wear inside and out that attests to this fact. 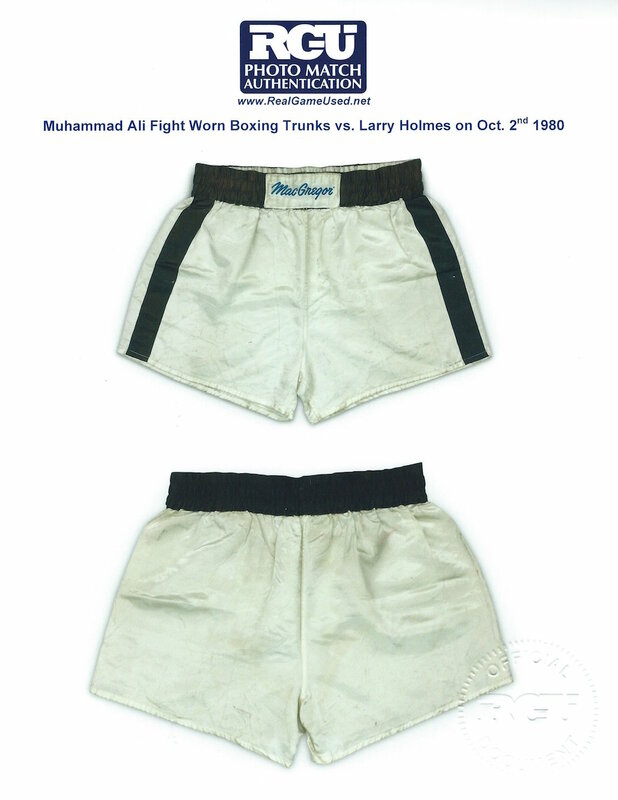 The trunks were originally sourced from a friend of the Ali family and were consigned from one of the finest Ali collections in existence. 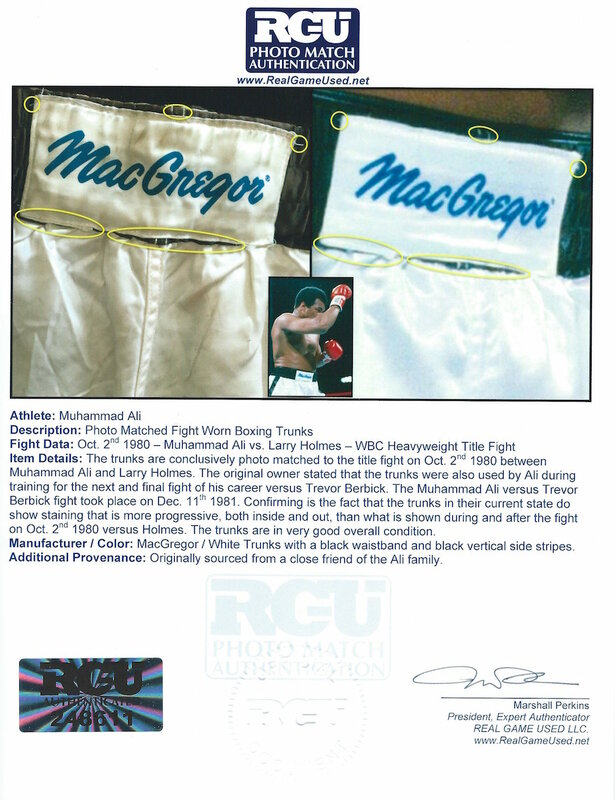 The gloves from this fight recently sold for $38,400 at public auction. 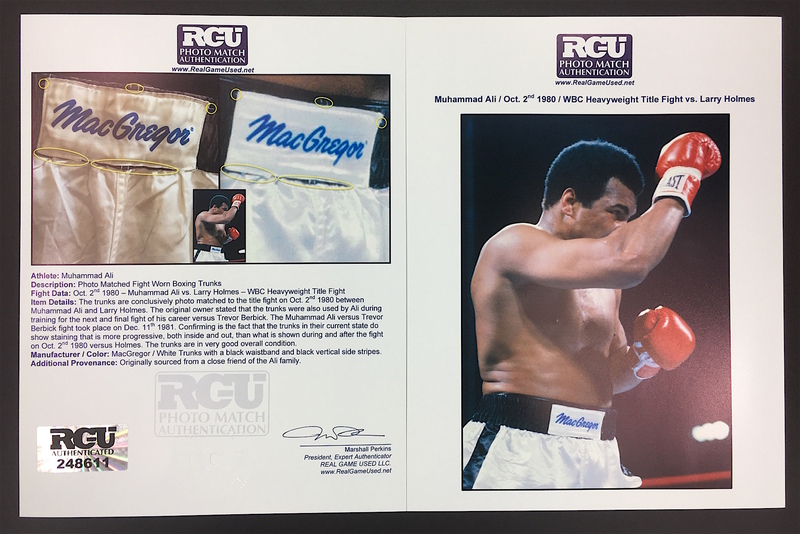 The trunks have an impeccably conclusive photo match that is of the finest grade and comes with a full photo match LOA from RGU (www.RealGameUsed.net). 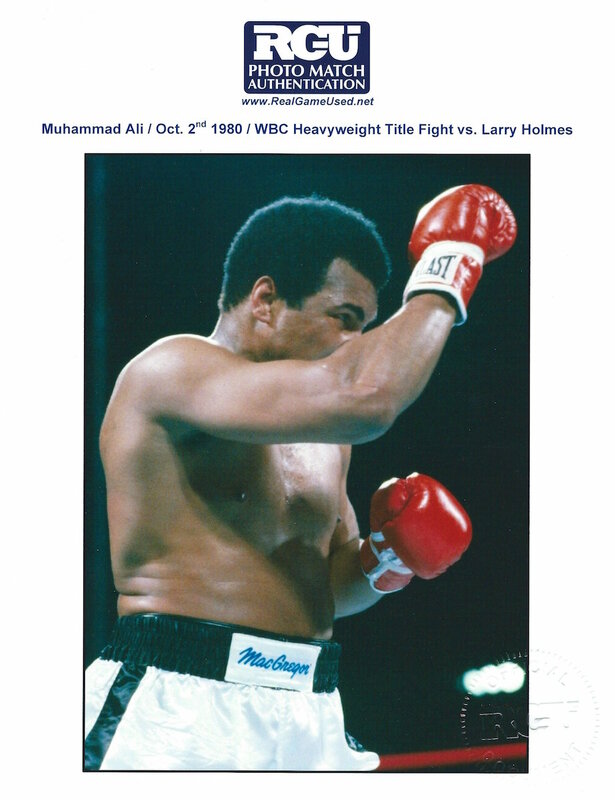 The WBC heavyweight title fight took place on October 2nd 1980 versus Larry Holmes. 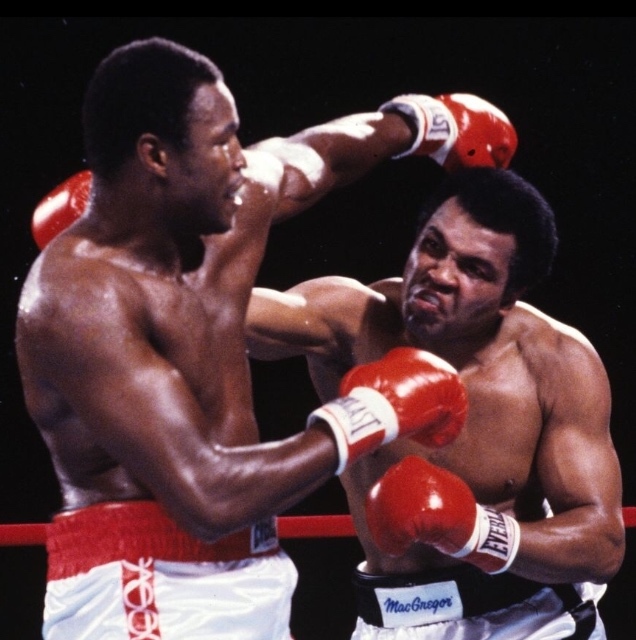 The Muhammad Ali vs. Larry Holmes bout represented the ending of quite possibly the greatest story in sports history. 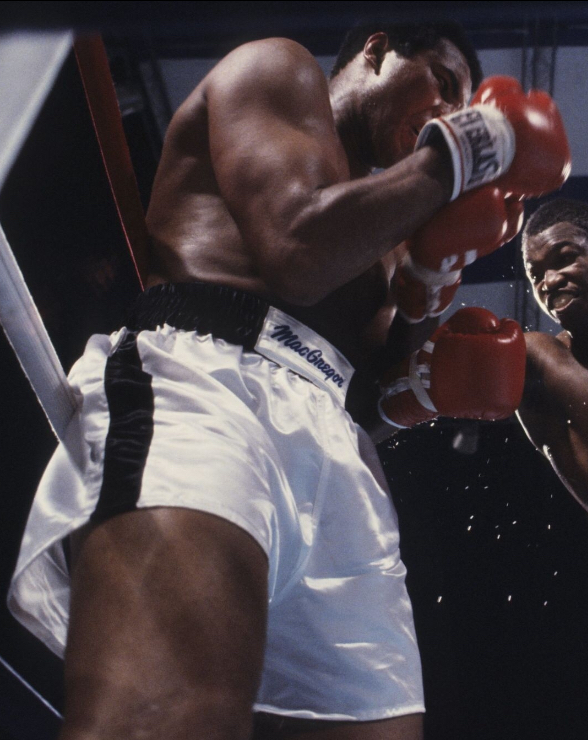 The fight was dubbed The Last Hurrah. 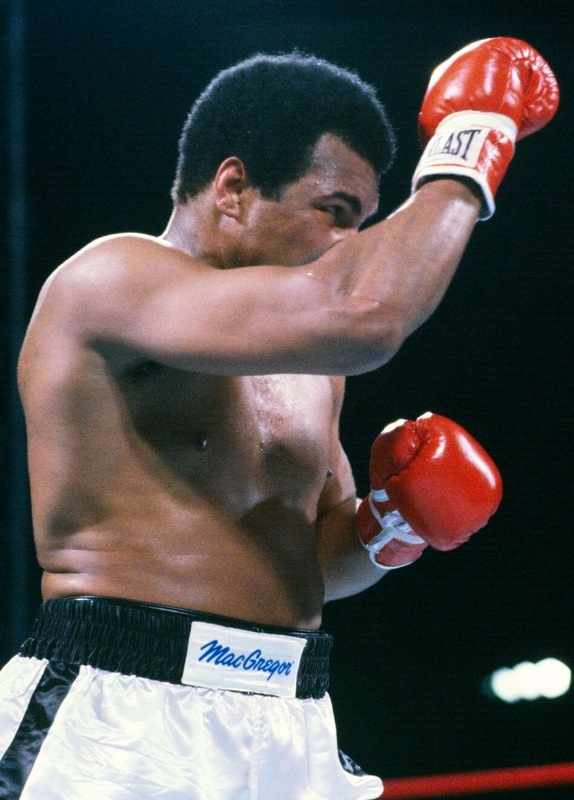 Ali wanted to represent the belief he could achieve being the only man to win the World Heavyweight Championship four times - a task unprecedented. 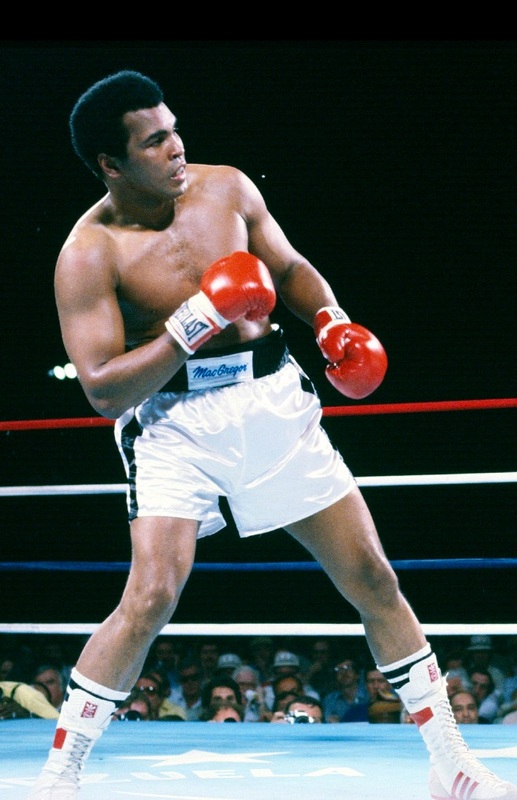 It is no exaggeration to consider Ali an international hero in and out of sports. 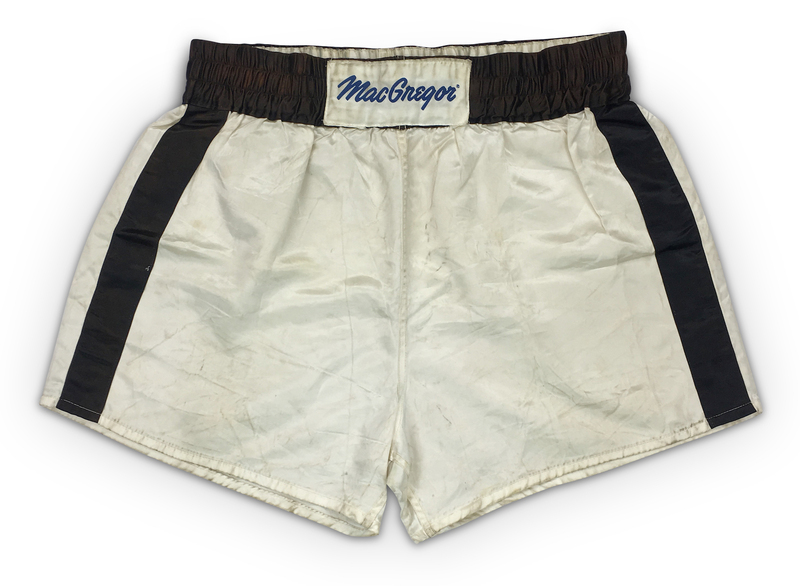 The trunks presented here are as significant as any from his dazzling prime. 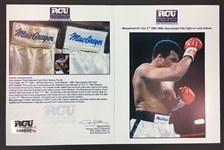 This heavily documented fight was controversial as Ali had checked into the world famous Mayo Clinic in the weeks before the Holmes bout with trembling hands and slurred speech, but was inexplicably cleared after neurological exams to endure yet another dosage of brain trauma at the hands of the reigning Champion.